Yahoo Web Hosting is now Aabaco. The other search engine giant appeals to new clients because of a recognizable name. Better known for Bing and it email accounts, it is also a decent web hosting service. Yahoo! offers unlimited disk space and email storage, domain name, 24/7 customer service and Google ($50) and Yahoo! credits ($100). Customers give Yahoo! web hosting only 2.5 stars however, with 3 stars for price and reliability. The web hosting industry is not an eco-friendly industry. Just think about the amount of power that is needed to power the servers at all the data centres. In fact, studies have shown that the web hosting industry will have a carbon footprint as big as that of the airline industry in year 2020. GreenGeeks, launched in 2006, is a web hosting company that is making an effort to rectify this. How does GreenGeeks do this? For each unit of energy consumed, GreenGeeks purchases three units of wind-powered energy and send them back to the power grid to offset its carbon footprint. Besides being eco-friendly, GreenGeeks offers features that allow customers to get their websites up and running as easy as possible. Unlimited hosting capacity – All web hosting accounts at GreenGeeks come with unlimited capacity such as unlimited disk storage, bandwidth, domain hosting, email accounts, ftp accounts, and MySQL databases. User-friendly control panel – Customers at GreenGeeks have access to the popular and very user-friendly cPanel control panel. They can manage their websites, including adding new domains or installing new website scripts such as WordPress, Drupal, Joomla, etc, easily using cPanel. Recommended Drupal hosting – GreenGeeks has been selected by Drupal professionals as the best Drupal hosting. In fact, it is listed in the hosting recommendation section of the book Drupal for Dummies. Daily backup – All hosting accounts are backed up daily. If something goes wrong, customers can restore their data easily using the backup tool. Top quality equipment – GreenGeeks’ Supermicro rackmountable servers are powered by Intel Quad Core Xeon processors, 24GB DDR3 RAM, 100Mbps connection to the network switches and BGP4 Gigabit backbone connection, and RAID-10 Storage Arrays. Together with the fully redundant and top of the line network gear, they provide the customers with maximum performance. World-class data centers – GreekGeeks’ data centers are secured and reliable. To reduce the chances of power failure, the data centres have dual-city grid power feeds. This means that their power comes from two different power grids. In addition to that, the data centers are equipped with battery backup and on-site diesel generator. To prevent fire, an FM 200 server-safe fire suppression system is installed at the data centers. This system has an early pre-fire detection mechanism that detects a fire before it can do much damage to the servers. Furthermore, the data centers are secured by a biometric and key card security system, and rack-level locking mechanism. GreenGeeks offers three types of hosting. 1) Shared hosting – For as low as $4.95/month, customers get all the features mentioned above plus a lot more. 2) Reseller hosting – For entrepreneurs who would like to start their own web hosting services, GreenGeeks offers 5 reseller hosting plans, all come with unlimited disk space and bandwidth. The prices are based on the number of accounts resold. – Seed – 10 accounts – starts at $0.01 for the first month and then $19.95/month afterwards. – Sprout – 25 accounts – $24.95/month. – Plant – 50 accounts – $39.95/month. – Forest – 250 accounts – $99.95/month. – For $39.95/month, customers get 25GB of storage, 500GB bandwidth, 2Ghz CPU power, and 512MB memory. – For $49.95/month, customers get 50GB storage, 750GB bandwidth, 2Ghz CPU power, and 768MB memory. – For $79.95/month, customers get 75GB storage, 1000GB bandwidth, 2Ghz CPU power, and 1GB memory. – For $99.95/month, customers get 125GB storage, 1,500GB bandwidth, 2Ghz CPU power, and 2GB memory. ApprovedHosts.com recently awarded HostMetro, based in Schaumburg, Illinois, for Best Web Hosting. HostMetro offers very affordable shared hosting services with all the features that are needed to run a website. Top of the line equipment – At HostMetro, all websites – from personal blogs to online business websites, are hosted on top quality brand name equipment. All servers are from Supermicro, built with Intel Xeon processors and solid state hard drives with RAID protection. These top quality servers offer high and reliable performance to all users. Top quality data center – To ensure that all websites hosted at HostMetro can perform at their highest speed, HostMetro has built the fastest network connections at their world-class data center. They also guarantee that their uptime is 99.9%, which means that websites hosted at HostMetro are almost always accessible. User-friendly control panel – Each hosting account at HostMetro comes with the cPanel hosting control panel. This control panel allows users to manage and configure their hosting environment easily. Some features of cPanel include: manage email accounts, manage domains including add-on domains and subdomains, access backup/restore tool and other tools, etc. Users can also install scripts easily with the cPanel control panel. For example, installing the popular content management platform WordPress involves just a few clicks. Reliable backup – For anyone who owns a website, having a good backup of the whole website is very important. When something happens to a website, for example, when it is hacked, sometimes the fastest way to get it up and running is to restore the website from backup. At HostMetro, all hosting accounts are backed up automatically each week. If you prefer more frequent backups, you can set that up easily using the backup tool that is included in cPanel. Award winning customer support – HostMetro’s award winning customer support is what makes it stands out from the crowd. The main goal of HostMetro is to make every customer happy and they do this by having a team of friendly and helpful customer support representatives. Their customer support representatives are experienced and knowledgeable in web hosting, and can be reached 24/7. 1. Mega Max Hosting – For as low as $3.49 per month, customers get max hosting space and bandwidth. They can also host up to 5 domains with unlimited email accounts. Furthermore, it comes with a free domain name with privacy protection. 2. Ultra Max Hosting – For as low as $5.49 per month, customers get all the Mega Max features mentioned above plus some more features including the ability to host unlimited domains, free SSL certificate for one year, free dedicated IP for one year, free SEO submission, and one free script installation. 3. Business Max Hosting – For as low as $12.49 per month, customers get all the Ultra Max Hosting features plus a free SSL certificate for life, a free dedicated IP for life, free SiteLock security scan, free SEO consultation and five free script installations. All 3 web hosting plans come with HostMetro’s Metro Max Guarantee, which includes no price prices increases – even when customers renew their accounts! If, for any reason, you are not satisfied with the hosting services offered by HostMetro, don’t worry because each hosting account with HostMetro comes with a 45-day money back guarantee. The online world is growing rapidly. With that, the number of malware that targets websites, often time websites of small businesses, has also increased dramatically. Sometimes these small websites are being targeted because they can be used as a launching pad for further attacks to other websites. For small businesses, especially those who do their businesses solely online, these malware attacks are costly. They lead to loss of customers, staff productivity, and even blacklisting by Google. To help small businesses defend themselves against malware attack, 6Scan – a leader in website security for small businesses that is based in Tel Aviv, Israel, launched a website scanner service in January 2013. This website scanner not only scan the websites for vulnerability, but also repair them and remove any malware found. Dual Scan – 6Scan’s Dual Scan feature extends the scanning capabilities of its old product, a plugin for the popular content management platform WordPress, to all websites running on Apache Web servers. The Dual Scan technology is a proactive approach to website security. It performs real-time scan on websites for malware and vulnerabilities that can potentially harm them, and delivers a detailed report with instructions for the user to fix the vulnerabilities manually afterwards. This Dual Scan feature is free to use. Auto-fix – For paid customers, when the 6Scan website vulnerability scanner finds a malware on a website, the Auto-Fix feature kicks in immediately and tries to resolve the problem. It does this through a method called virtual patching, which intercepts user requests and modifies them such as known vulnerabilities cannot be exploited. It doesn’t modify the original files on the website. To use this feature, users have to install a small agent script on their web servers. Additional Security – 6Scan offers a web application firewall to its customers. This firewall blocks out threats by comparing suspicious codes to codes of known malware. If the patterns match, then the suspicious codes are flagged as potential threats. Users who are more advanced and want more control over the security of their websites can configure this web application firewall according to their needs. Simple Installation – You don’t have to be a sophisticated techie to use 6Scan’s website scanner. The installation is a simple and with just one click, you can secure your website from malware attacks. Up-to-date Vulnerability Protection – 6Scan has a dedicated research team that specializes in finding undocumented malware and vulnerabilities. Once a new vulnerability is found, the Dual Scan and Auto-Fix features are updated with the new information automatically. Notification – The scan results can be sent to the user by email or SMS messages. In case vulnerability is found during the scan, details on how to fix it can also be sent to the user by email or SMS messages. Depending on their needs, there are 3 pricing options for customers to choose from. • Basic: For US$9.99 per month, basic users can scan their websites, which contain up to 100 pages, daily. Vulnerabilities but not malware can be fixed automatically. • Professional: For US$29.99 per month, professional users can scan up to 500 webpages hourly. Both website vulnerabilities and malware can be fixed automatically. The web application firewall is also available to professional users. • Enterprise: For US$49.99 per month, enterprise users can scan unlimited webpages hourly. All features are available to enterprise users. If you are ready to begin your venture online, it’s important that you find a way to increase your online presence. One of the ways to do this is to set up your own website. When it comes to setting up your own websites, there are certain things to consider and one of these is web hosting. There are basically 4 main types of web hosting. They are different in terms of features and pricing. Free hosting is popular because it is free. With free hosting, you can set up your simple website with the tools provided by the hosting provider. You will have limited web space and bandwidth, and you can’t use your own domain name. Instead, the URL of your website will be something like MyUserName.ServiceProvider.com. Your hosting provider will most likely require you to display advertisements on your website, which will make them money. Free hosting doesn’t give you much control over your website. Most of them don’t allow you to install software other than the ones they support. This option may be good for if you are on a really tight budget and you are making the website just for fun. If you have longer term plan for your online venture and want to build a more professional website, you may want to consider other hosting options. Shared hosting is not free but it is very affordable. Due to its low cost, shared hosting is a very popular kind of web hosting for small websites. With shared hosting, you are sharing the server resources with other websites on the same server. Each shared hosting account has its own web space on the server that is separate from the others. Shared hosting packages usually come with a web-based control panel system. 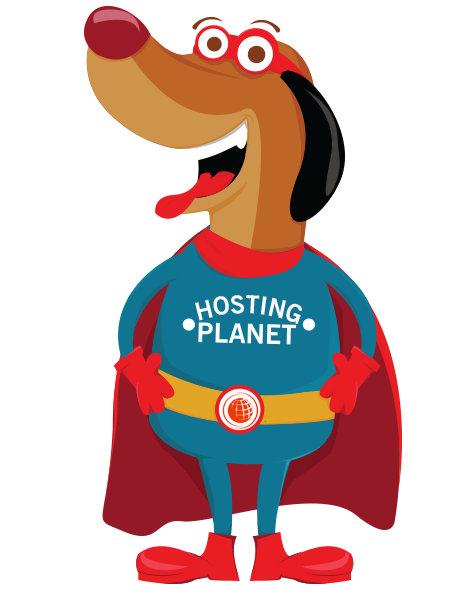 For example, the shared hosting packages at BlueHost comes with the cPanel. This control panel allows users to configure their websites easily, e.g. installing scripts such as WordPress, with just one click of a button. Some of these shared hosting packages also allow you to host multiple websites, each has its own domain name, with one hosting account. The downside of shared hosting is, well, you have to share the server resources with other websites. If one of the websites one the server is very resource-intensive, then the performance of your website will be affected adversely. A virtual private server (VPS) is a virtual server. The virtualization of a physical server allows all its virtual servers to share its system resources, such as CPU, hard drive and memory. So how is VPS hosting different from shared hosting? With virtual private server hosting, you have your own “server” with its own operating system that can be rebooted without affecting other virtual servers on the same physical server. In addition, virtual private server hosting offers a minimum allocation of system resources. Therefore, unlike shared hosting where the performance of your website can be dragged down by other resources-intensive websites on the same server, your website on a VPS has guaranteed resources. With VPS hosting, you have more control over the environment than shared hosting, without having to pay for the cost of a fully dedicated server. Dedicated server hosting gives you full control of your hosting environment. You have the physical server all to yourself. This hosting solution is recommended for high traffic websites that require high level of reliability. If you have very specific need with regards to your hosting environment such as running specific software, this may also be your option. Dedicated hosting is much more expensive than the other hosting options.